(Re)Introducing #EdTechBridge, Every Second Wednesdays! Wait a minute — didn’t summer just start? In a blink of an eye, teachers are already gearing up for back-to-school season, just as we’re coming out of our summer daze. 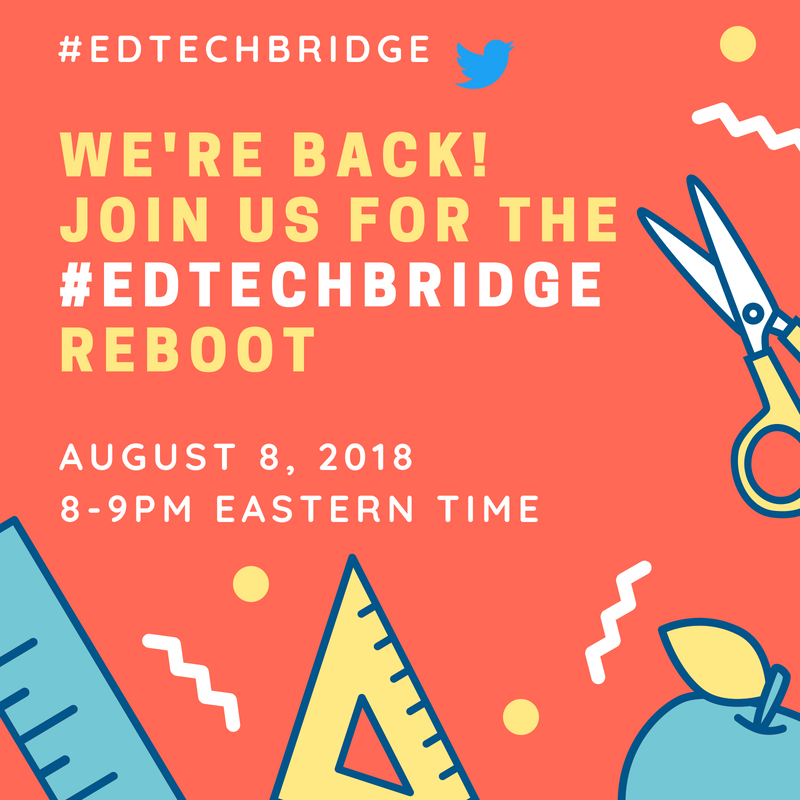 Because we are always championing the ever-busy and heroic educator, by learning their language and urging edtech leaders to always loopback for feedback, we’re rebooting #EdTechBridge! On the second Wednesday of each month at 8PM Eastern Time, join us on Twitter to connect with edtech entrepreneurs and teachers to discuss the latest trends in edtech. If you’re new to edtech, don’t be shy — we’d love for you to jump in on the conversations! We hope that this monthly conversation not only generates new ideas but also bridges the gap between the ever-growing field of technology, and teachers who can offer valuable insight and observations.